At the next session of the UN Human Rights Council this March the government will need to present an update of its progress with regard to the resolution passed in October 2015. There has been some progress made by the government. More and more land in the North taken over by the military during the war is being returned, although about half of it still remains under military control. There has been a marked improvement in the freedom of movement and freedom of speech experienced in all parts of the country, and particularly in the former conflict zones. However, so far there has been little visible progress on establishing the mechanisms outlined by Foreign Minister Mangala Samaraweera in the run up to the last session of the UN Human Rights Council last year. It was in this context that his visit to the United States and the positive US endorsement of the Sri Lanka’s reconciliation process is important. The new government earned much international goodwill for Sri Lanka last year in Geneva when it reversed the policy of the previous government. This had been to largely showcase the reports of the Lessons Learnt and Reconciliation Commission and the Missing Persons Commission as adequate to address the problems of the past. With regard to human rights violations alleged to have been committed by the Sri Lankan military the former government appointed military tribunals that did not find anything of substance that called for further action. By way of contrast, speaking in Geneva on behalf of the government, Foreign Minister Samaraweera said that the government planned to deal with the past through a fourfold system that would include a Commission for Truth, Justice, Reconciliation with a Compassionate Council of religious clergy attached to it, an Office of Missing Persons, a judicial mechanism with special counsel to be set up by statute and an Office of Reparations. With the forthcoming session of the UN Human Rights Council on the horizon, Foreign Minister Samaraweera visited the United States to attend the inaugural US-Sri Lanka Partnership Dialogue which was agreed upon in May last year when Secretary of State John Kerry visited Sri Lanka. At that time, Secretary Kerry made an offer of US assistance to Sri Lanka in four key areas. These were reconciliation and post-war healing, justice and accountability, human rights and strengthening of democratic institutions. He said that the United States having experienced a terrible civil war in which a movement of separation had to be defeated on the military battlefield had much to contribute from its own experience, both positive and negative. In his latest meeting with Secretary Kerry, Foreign Minister Samaraweera elicited public statements that are indicative of continued US support. Once again in a manner reminiscent of his greeting in Colombo, Secretary Kerry referred to Foreign Minister Samaraweera as a friend. He also said he wanted “to congratulate the Sri Lankan government for its very impressive continuing steps towards reconciliation. We are very much looking forward to defining the roadmap ahead for continuing progress.” These positive statements reflect a general environment of support for Sri Lanka from Western countries which was also reflected in the visit of Foreign Minister Borge Brende to Sri Lanka in January and President Maithripala Sirisena’s visit to Germany earlier this month which yielded pledges of increased financial assistance. The US-led international community is showing that it stands ready to support a government that is prepared to consult with it and to accept its assistance. The re-orienting of Sri Lanka’s foreign policy away from an attitude of confrontation with the international community is also likely to prompt a more flexible international response to Sri Lanka. The previous government of President Mahinda Rajapaksa not only denied the need for post-war accountability, but also began to rely heavily on anti-Western countries for their political support. Leading members of the former government engaged in strident criticisms of the Western countries and their double standards in the conduct of international affairs. They made frantic efforts to cultivate friendships with countries that most Sri Lankans are unfamiliar with, in Africa and South America. But this effort proved to be futile as many of these countries too had closer ties with the Western led international community than with a relatively poor Asian country with which they had little in common in terms of either culture or trade. By way of contrast, the present government has international champions of good governance and accountability in its ranks with President Maithripala Sirisena, Prime Minister Ranil Wickremesinghe and Foreign Minister Mangala Samaraweera acting in concert with each demonstrating the ability to inspire trust and confidence in their international counterparts. 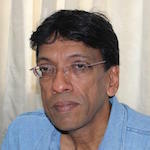 Symbolic actions such as having the national anthem sung in Tamil on Independence Day and President Sirisena’s pardoning of the LTTE cadre who attempted to assassinate him are evidence of goodwill and recognition of Tamil grievances that forms the basis of the government’s approach to reconciliation. In addition, the government has shown itself willing to engage with the international community on issues of human rights. This is why the international community is showing a greater willingness to give Sri Lanka the time and space to deal with the difficult issues of governance and accountability. Recently it was reported that Foreign Minister Samaraweera encountered open dissent from an army general when he visited Jaffna to set in motion the consultation process with the general public regarding the reconciliation mechanisms that needed to be set up. Some of those who led the military campaign may feel themselves to be vulnerable. On the other hand, there is serious concern within the Tamil polity regarding the slow progress in resolving their main grievances. The Missing Persons Commission has received over 18,000 complaints but has made little progress in clarifying their fate or whereabouts. Last year the government pledged to have the accountability and other transitional justice mechanisms in place by the beginning of this year. However, now the government is speaking in terms of needing another year to set these mechanisms up. While in the United States, Foreign Minister Samaraweera said that Sri Lanka is considering the participation of foreign actors, be they judges, forensic experts, investigators or prosecutors in the accountability process. He also said that the government had set itself a target of one year to establish the appropriate mechanisms, including a special court that would take up the allegations of war crimes. However, the issue of foreign participation in the country’s accountability process is likely to be fraught with controversy and opposition. The government has decided that there needs to be countrywide consultations led by civil society regarding the reconciliation, accountability and constitutional reform mechanisms as a first step. The issue of foreign participation in the process is likely to highlight the divided nature of civil society with regard to the accountability process. Sri Lanka is today presented with a historic opportunity to deal with its past traumas, human rights violations and war crimes. It is in a position to obtain the sympathetic support of the international community for this task in a manner that promotes reconciliation and not discord. There is a possibility to attain the goal of restorative justice that is healing with the best experience of other countries that have experienced similar traumas. South Africa is one such country, and Foreign Minister Samaraweera has said that a technical team will be leaving shortly to that country to obtain the necessary advice. Another country might be the United Kingdom which recently opened up a painful chapter of its past, when it arrested army soldiers incriminated in the Bloody Sunday massacre in Derry in Northern Ireland in which 14 civilians were killed more than 43 years ago. Now the challenge for the government is to take these messages to the general public through a government-civil society partnership even as South Africa’s President Nelson Mandela and Archbishop Desmond Tutu did in South Africa at the dawn of their new republic. We need Internal Champions sans foreign funded NGOs. 1.a.MFAs are sent by GoSL to foreign countries to control damage as well as to ask for financial help. They’re scapegoats to various degrees depending on their cnscience. If the international counterparts read the local papers they’d know that the TRIO are contradicting each other most of the time. Must’ve flown business class or first class to a Western funded conference at western expense again to start preaching again. No credibility here. Flies business class all the time. He’s the boy who never condemned Tamil terrorist tiger atrocities, their child soldiers or their suicide bombers. Very preachy puppet of the US. Makes lots of easy money. Very rich now but still no credibility. Many well-respected Sinhalese told LLRC that structural violence of successive governments created the LTTE. That violence hasn’t ended yet. This ebsiteproduces articles by such people. Don’t you read them? Jehan Pererawrites in a very balanced way. But recently he has been trying to push this govt a bit towards GoodGovernancebecause the govt is not moving towards where it promised it would in the election campaign. NGO Jehan seems to be genuinely concerned. The problem that he is not realizing is that the local and International champions got the backing of Yahapalanaya, in the hope of getting billions of dollars in aid pledges from Western countries for jumping Hook, Line and Sinker into the UN report. The reality now is Yahapalanya has egg on its face in the aid department. Even the funding Agencies are waiting for a wait and see approach on the Yahapalanaya. So with empty stomachs and barren rice fields no one is bothered about finding out who put the bullet in Thambi’s head. First speak about the shaving the heads of child monks which is an obvious violation of child rights happening eternally, before coming to the point of child soldiers. Wellington , John of Arc and Napoleon are all child soldiers. VP was a child himself when he began his movement at that juncture there wasn’t enough child rights conventions or charters. The Child right champions are with sinister political motives through selective talks and writings. Not Unbiased.